BMP, which has many other names, such as Bitmap Image File, Device Independent Bitmap or Bitmap, is a digital image format for storage of 2D images. Despite the fact that BMP is widely supported by major Windows software, many users prefer to convert BMP files to other formats. The reason for this is the size of BMP images. They are too large to be shared with other users over the Internet or to be published online. Those, who wish not to waste hard-drive space and yet to preserve the original quality of images choose to download BMP converter. 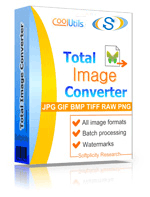 This is a specialized application for conversion of images saved in BMP to other formats, which include but are not limited to: TIFF, JPEG, RAW, PNG, PSD, TGA, and many more. 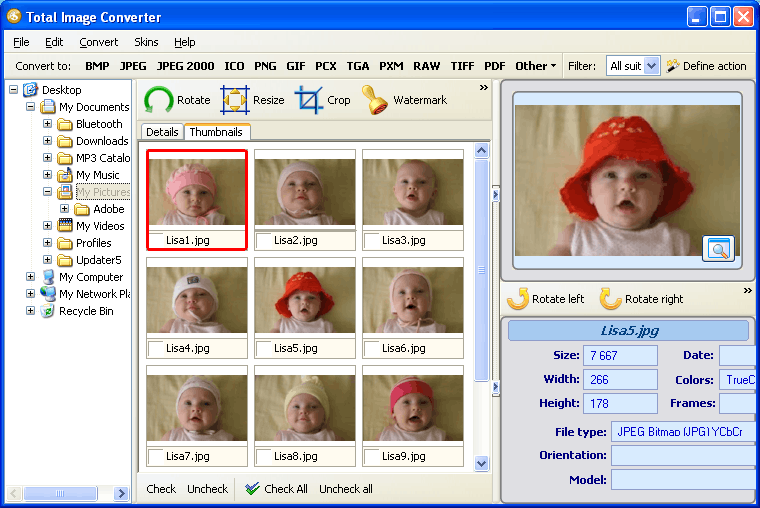 However, if you are the one who values functionality, you might be interested in getting all-purpose image converter. Unlike BMP converter, this program can be used to process images in dozens of formats, not just BMP. With the help of this option, you will be able to convert BMP in batch in seconds. If you choose to choose get batch image converter, you will never again face a need to spend hours processing images one by one. This option will give you a chance to preview bmp images before converting them. You won’t have to open hundreds of files in image viewers, which will save you tons of time! 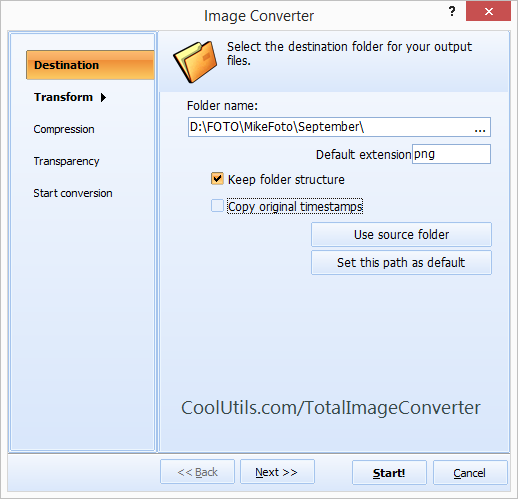 You can crop, rotate and even resize bmp images with the help of CoolUtils image converter. Moreover, you can add watermarks to all bmp images to protect them against unauthorized used. 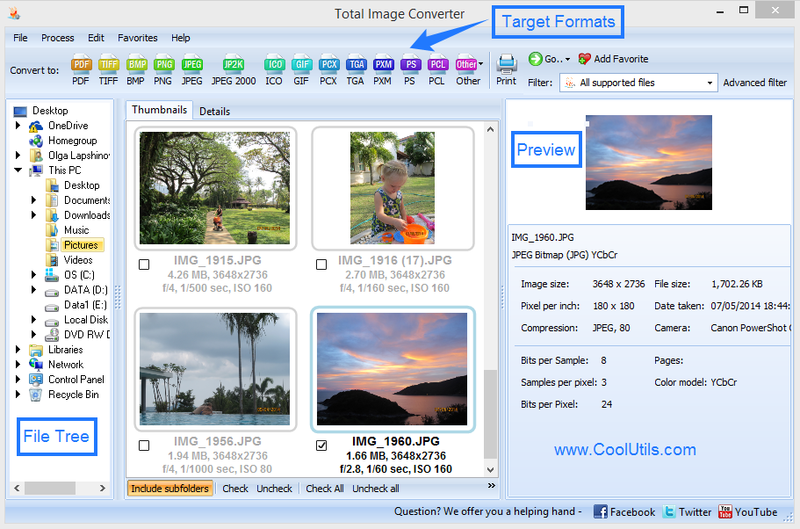 Do not hesitate to try Total Image Converter now. The trial version is available for free for 30 days. There is no obligation or hidden fees, so download it now! How to convert BMP to PDF in batches professionally?